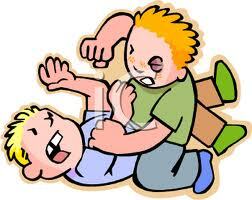 One of the biggest weakness of us i.e.. Indians is that we only know that how to fight with each other. We don't know how to cooperate with each other and work as a team. We know several ways of fighting with each other but don't know any way of uniting with each other. We know how to fight on the name of Caste, on the name of religion, on the name of language, on the name of land/ place from where we belong, on the name of schools and collages in which we study and this list is endless. Ques> Is their any thing on the name of which we can unite with each other. We people only know that how to give the answer of brick from Stone. But why don't we think that "an eye for an eye every one will become blind one day-Mahatma Gandhi"
So friends my message is this only that we should try to unite with each other as unity is the best policy. Hindu, Muslim,Christian........ we all are brothers and sisters. We should keep a thing in mind that "a man can't perform the big jobs" I want to say is that if we want to do some progress and develop our country then we have to unite with each other and stop fighting with each other.